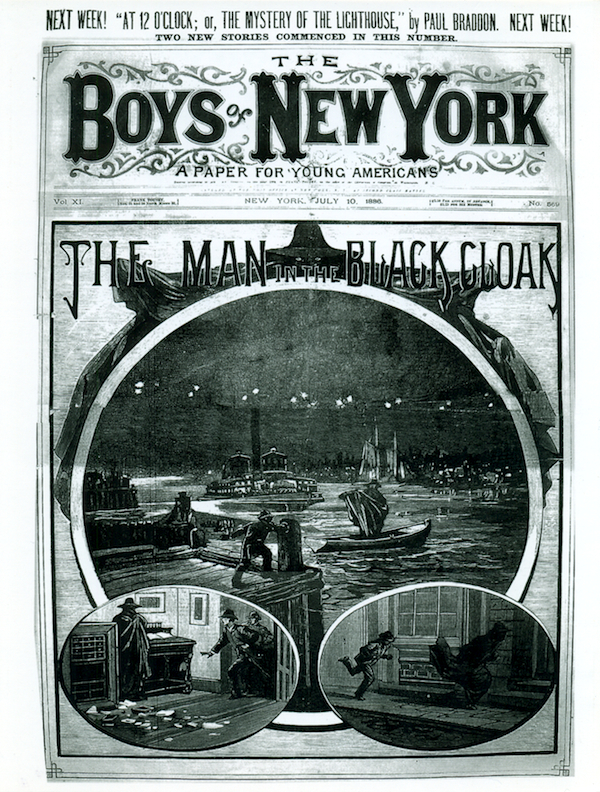 In 1886 the Frank Tousey story paper Boys of New York published a full-length story, “The Man in the Black Cloak,” which in some quarters is believed to have anticipated (and possibly influenced) the creation of The Shadow. 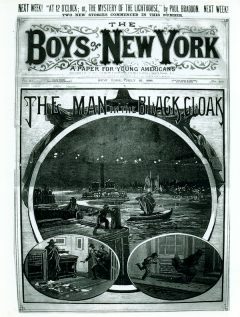 Three years later the popular story was reprinted in The New York Detective Library, another Tousey periodical. Both magazines, along with the rest of the Tousey holdings, were purchased in 1927 by Street & Smith, which published The Shadow. Dime-novel aficionado Joe Rainone, who published this full-count facsimile reprint (with glossy covers on card stock), points out the similarities between the two characters—and makes a generally persuasive case for the Black Cloak’s influence on The Shadow—in an introductory essay. This reprint was published on a print-on-demand basis, so it was never widely available. This unread copy is As New.